One of the first appearances of the “kettle” tactic was seen at the Anti-Police Brutality protest in 2002. 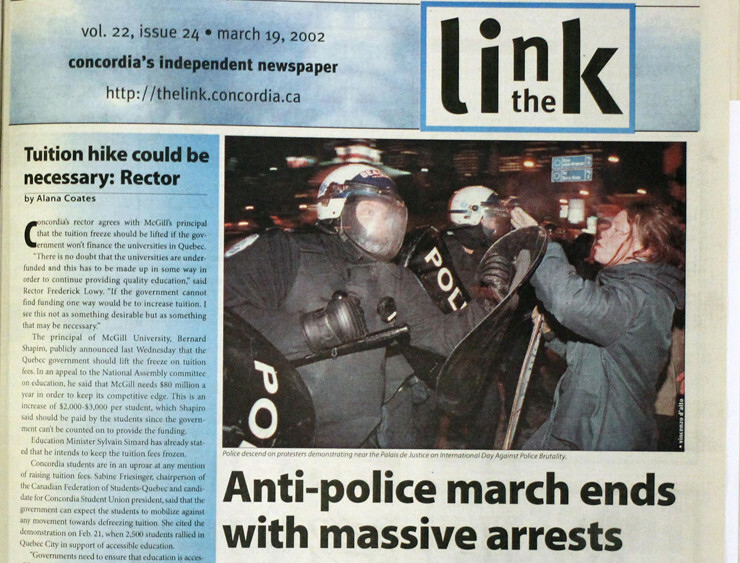 Read From the Archives for archived Link coverage of Anti-Police Brutality protests. Denied the Right to Vote… Again?